Lead Thru Sport is a not-for-profit organization created to provide athletes with an opportunity to apply essential skills outside of sport. We strive to help our athletes develop their character and identify their passions early in their sport career. As young, female coaches in a male-dominated sport community, we are determined to make a difference and build a culture of female leaders. We see the benefit of developing our own skills through participating in sports, so we are inspired to use sport as a vehicle to have an overall impact on youth. We also see a gap in education and intention, as well as a lack of focus on citizen engagement in youth programs of today. As a result, we have developed well-researched programs that are delivered to both youth and coaches. 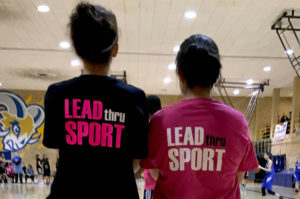 Lead Thru Sport is committed to our young, female athletes by using sport as a vehicle to provide empowering learning experiences and create opportunities to explore skills and passions.